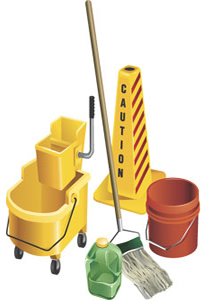 We provide cleaning services to the commercial and residential markets throughout Brisbane. JWY only hire highly professional and trustworthy cleaners to ensure we provide you with a service to your satisfaction. Welcome to JWY Cleaning Services, whether you live North, South, East or west of Brisbane, JWY can provide you with a professional and prompt cleaning service. We look after the residential, commercial and industrial markets, and we have much experience in each. All of our cleaners are highly experienced and reliable, thus, ensuring that a cleaning service provided by JWY will be of the highest standard. JWY Cleaning Services is committed to delivering professional services to its customers based on the highest standard of service and client care, meeting their expectations, defining their needs and building the best relationship. We are committed to act with honesty and integrity and delivering our services in a professional manner at all times of our business. Our services include all household cleaning chores including dusting, vacuuming, mopping, cleaning, kitchen cleaning, laundry, lounge area, balconies, decks and toilets. We can clean your fridge, oven tops, dishwasher, microwaves, bench tops, drawers and cupboards. When you request us for a service, you can select a suitable option on how often you need the service to be provided using our online enquiry form. We provide excellent services to our customers and make them love their houses.